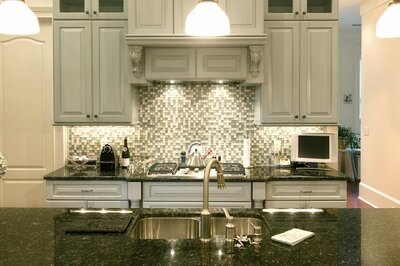 Stone World is one of the top granite countertop fabricators in Orlando and all of Central Florida. 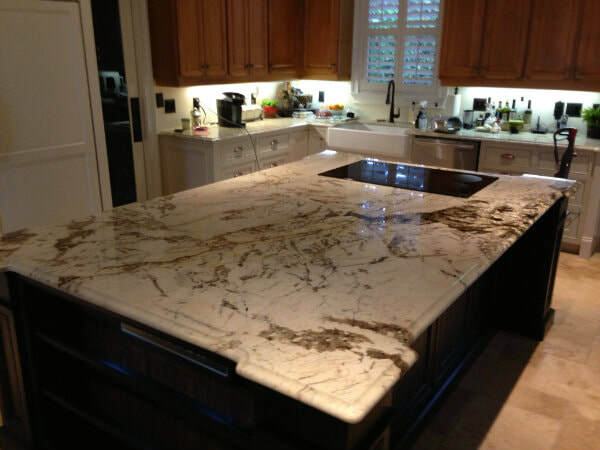 We have decades of experience in installing the highest quality, custom installations of granite countertops in the market. Our focus is always on the customer, and the look and vision you are trying to achieve. 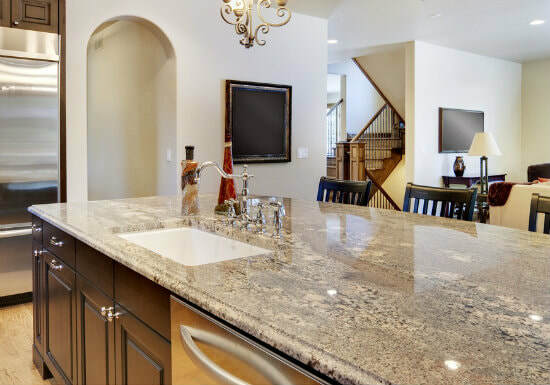 We work closely with our clients on granite countertop installations to ensure everything is done exactly according to your request, and the project will not be done until you are 100% satisfied with every aspect of the job. At Stone World, we know that investing in granite countertops in your home is a big financial decision. So we go the extra mile to make sure we work closely with our clients to offer, and provide, exactly what you are looking for your kitchen or bathroom. The quality of our natural stones is simply the best in the market, as you can't build a reputation for superior quality and performance over several decades unless you are delivering performance. This is what we do at Stone World, as our goal is always to build long-term relationships and earn customers who contact us for all their granite countertop needs. 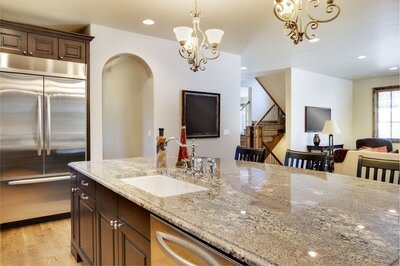 Our granite countertops in Orlando are made from the absolute highest quality stone in the market. We have a thorough and detailed quality process to make sure every project has only the finest stone entering your home or business. Many homeowners think they are getting a clean and smooth surface on their new Orlando granite countertops, only to find their countertop snags paper towels and other cleaning activities. Other consumers find that the stone color is completely different then they were expecting, and feel "cheated" by the process as it does not meet their vision. There are many beautiful granite colors to choose from, you just need to ensure that you receive what you have ordered. You also have the option to choose from a variety of granite edges. This is why it is paramount to work with an experienced and professional stone fabricator in Orlando FL that will communicate every step of the process so that there are no surprises! Granite is an excellent choice for granite kitchen countertops in Orlando, FL, and is renowned for its durability and aesthetic appeal. If you have laminate countertops then you know their are certain limitations that you have to be aware of, such as pots or pans coming directly off of the stove top when you are cooking. You will damage your laminate surface with a red hot pot or pan. With a granite countertop, you don't have that restriction and can place your hot pots conveniently on the surface so that you can stay busy in your kitchen. It is also stain resistant so you don't have to worry about your teenager's grape juice or your glass of red wine, as they pose no threat to your Orlando granite kitchen countertops! Among the most popular choices our clients have are fantasy brown granite countertops, which are definitely very luxurious and elegant. But of course, you can choose from other colors depending on the theme you have for your home. We will help you source the right materials that would match the rest of your kitchen. 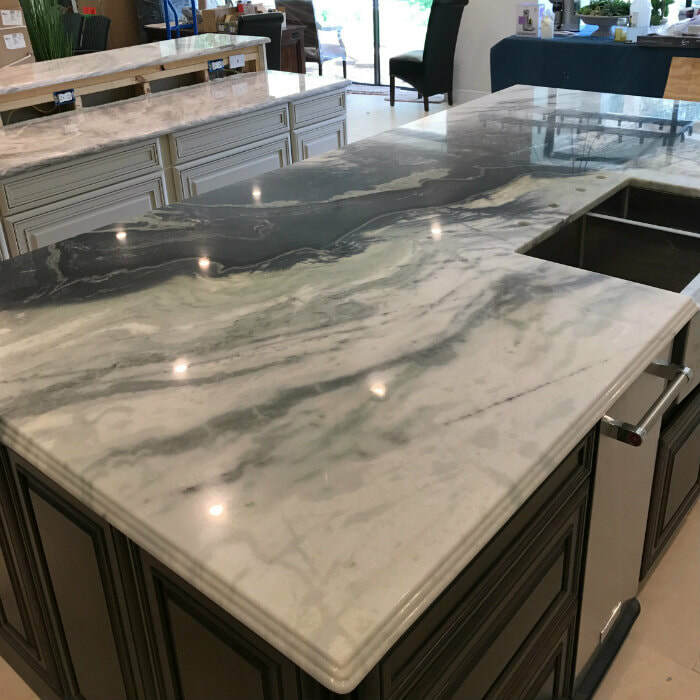 Just as your kitchen can be a risk for stains, soaking, and other activities that can be damaging to your countertops, granite bathroom countertops in Orlando FL can provide you with the same protection as in the kitchen, while also affording you luxury, elegance, and style. Granite is stain resistant and water resistant, which works very well in the bathroom. 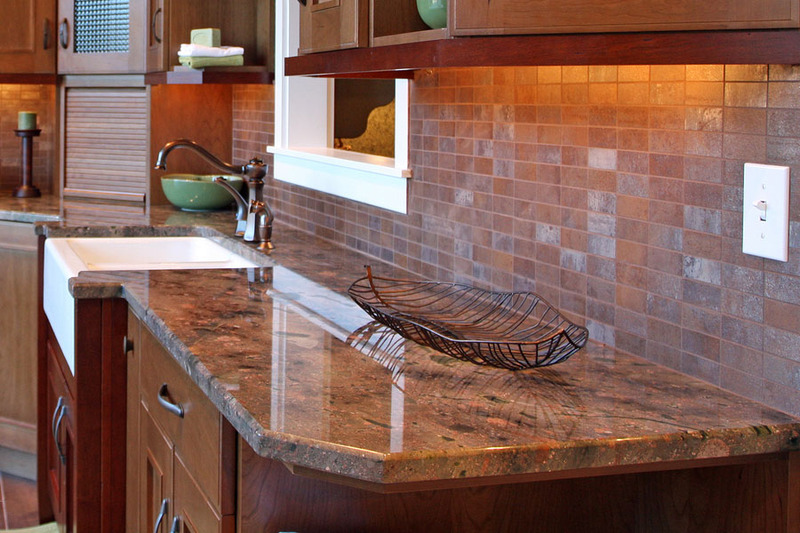 At Stone World, we install stunning granite for bathroom countertops, granite shelves, vanities, and more. Our granite bathroom vanities in Orlando are a particular specialty for us, and our work will truly transform your bathroom to elegance and luxury that you will look forward to spending time in each morning as you start your day. And after you are done getting ready for your day, the resistance of granite will make your bathroom clean-up simple and smooth as you wipe up toothpaste, hair spray residue, or soap residue. If you spend a lot of time on your pool deck, backyard deck, or BBQ area, granite countertops and granite bar tops are a great option for a rich and durable look that will withstand those Florida summer storms while also providing you with a great countertop surface for cooking, BBQ'ing, and mingling with friends and family. For many of us, our time spent around our outdoor patio bar provides some of the best memories at our home. For this reason, choosing Orlando granite countertops for this space is a really great investment to make this area come to life with elegance and richness. 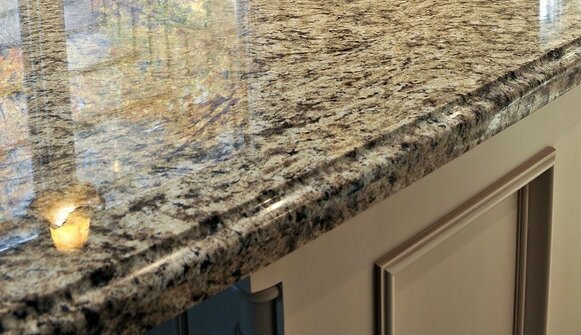 There are many other reasons to consider granite, as it is resistant to fading from the powerful Florida sun, and your countertops will never experience damage or delamination that is common with wood and laminate countertops. There are quite a number of color options to choose from when building granite countertops for your outdoor space. Thankfully, this material is durable enough to withstand varying weather conditions in your property's exterior as well as different elements outdoors. One of your top choices is absolute black granite because it is meant for both interiors and exteriors. For an even more timeless and elegant look, you can opt for the absolute black granite with leather finish. Our pros at Stone World would be happy to come to your home or business to review your project with you. 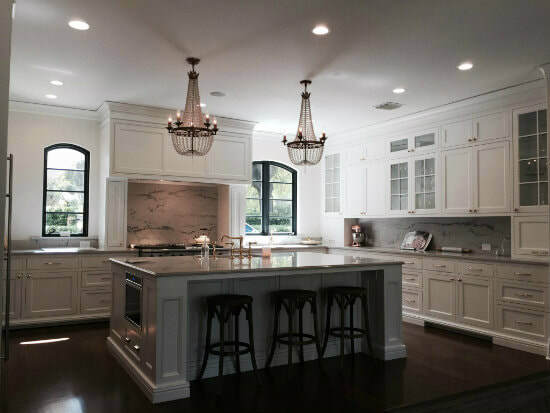 We have the experience and resources to perform projects of all sizes and scopes, from a simple granite kitchen island, to a full kitchen remodel in Orlando that will transform your living space. We perform both residential and commercial projects, so if you have a conference room with a large conference table that you would like to revamp to elegance and style, we have just what you are looking for. Our proposals are always free, and we will work closely with you on the particular look and feel that you are trying to achieve. Our service area for installing our stunning granite countertops is wide ranging, as we service all of Central Florida, including Orlando, Apopka, Clermont, Kissimmee, Winter Park, Altamonte Springs, Maitland, Lake Nona, Lake Mary, Windermere, Sanford, Ocoee, Winter Garden, and even as far as Daytona Beach and Titusville. 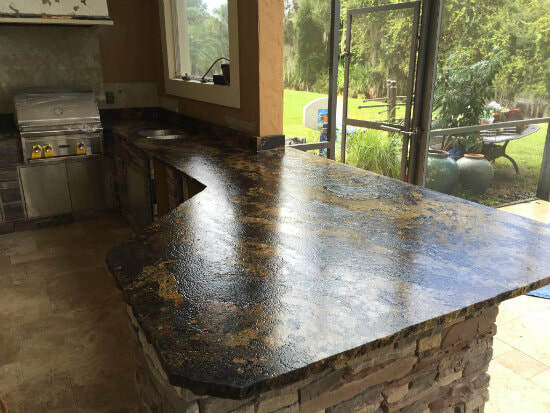 Even if you think you might be beyond our service are for custom granite countertops for homes and businesses, please inquire anyway as we often can accommodate areas beyond Central Florida. We grow each year and are continually expanding our reach for custom, durable, and stunning granite countertops Orlando FL. Contact Stone World at 407-341-4688 for a free estimate, or if you have any questions.